A small estate affidavit, also known as the ‘Affidavit for Collection of Personal Property’, is a document that allows individual(s) that feel they are rightly due to inheritance when the decedent, the individual that died, did not leave a will. This is only for those that have died with less than $5,000 to $150,000 (maximum depends on the State) total to their name. The individual(s) making the claim will have to submit a small estate affidavit to the Probate Court located in their county or jurisdiction. The petitioner will usually, after submitting, make a notice to any and all creditors as they are to be paid first if there are any outstanding debts on behalf of the decedent. Small estate affidavits are forms used to give authority to a person (usually an executor of the will or a beneficiary) to transfer and take responsibility for a deceased person’s properties. 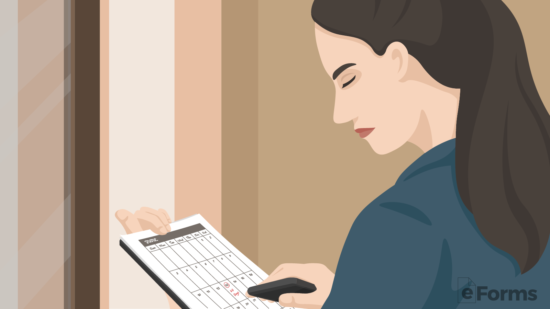 Properties included in this form are any assets such as bank accounts, jewelry, art, and vehicles that the deceased, also called the decedent, owned. The form gives the user power over the decedent’s estate to determine how assets will be managed and distributed to beneficiaries. They are also responsible for paying off any debts left by the deceased. 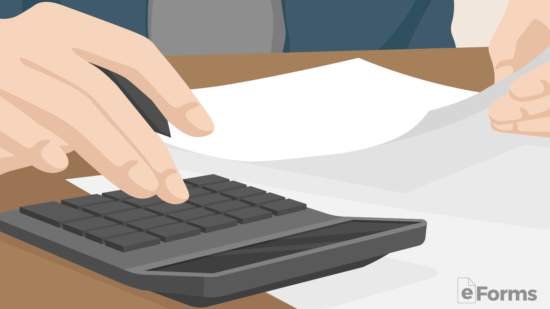 How Does a Small Estate Affidavit Work? A small estate affidavit is a great way for a spouse or children of someone who died to immediately take possession of their property and avoid a long probate process in the courts. Every State requires that the family members wait a specified number of days before the small estate may be filed. Ranging from 15 to 60 days, the heirs can use this time to gather an itemized list of the decedent’s assets and property. 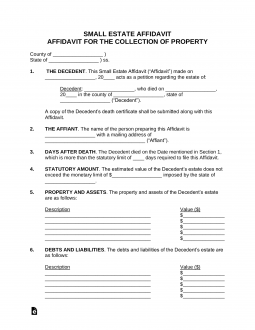 A small estate affidavit is for individuals that have died who did not own enough property or assets to qualify for probate under their respective State’s laws (less any liens and encumbrances). 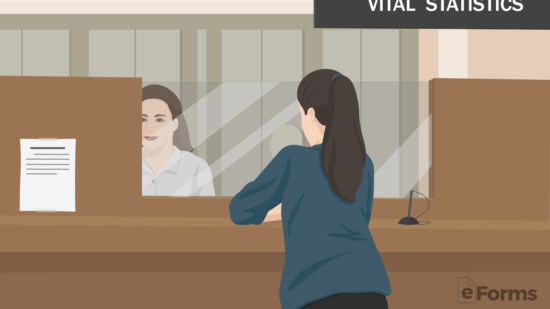 The death certificate must be obtained (contact the Bureau of Vital Statistics or equivalent office) along with the title of all property owned by the decedent. For example, if a vehicle was owned by the decedent the Certificate of Title will be required. 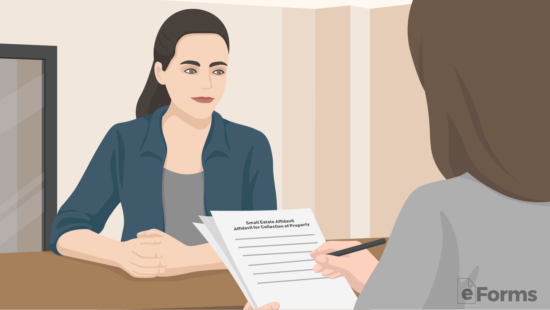 It is best to use the State Specific Version as this will give the petitioner the best chance of it being accepted by the Probate Court Clerk’s Office. When completing, be sure to include an itemized list of all the assets and property of the decedent that will be transferred to the heirs. When signing, the petitioner will be required to either sign the form in front of a notary public, witnesses, or both. The bottom of the small estate should have the signing requirements listed. All heirs, family members, or anyone that could be considered entitled to the property must be made aware of the small estate filing. Therefore, the petitioner must contact them via Certified Mail with Return Receipt and keep the receipts as proof the individuals have been notified. Attached to the small estate affidavit, the petitioner should have all their documents together with the filing fee. If accepted, the clerk will take approximately 5 to 15 days to process and accept or reject the filing. If accepted, the property and assets will be transferred and the process is complete. 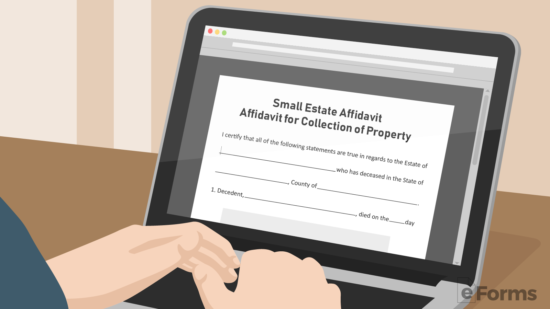 When Do I Use a Small Estate Affidavit? The small estate affidavit lets you go to any person, company or bank that may currently hold estate property previously owned by the decedent. With this form, these entities are required to hand over or transfer the assets according to the terms of the affidavit, or they can face legal prosecution. However, these entities cannot be sued once the terms of the affidavit have been followed and the property transferred from their hands. 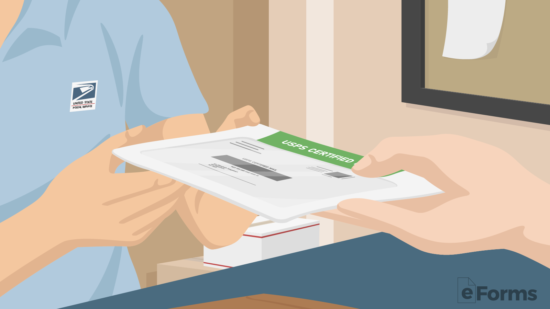 This form now gives you complete control over the estate and power of attorney. No entity should be able to refuse to transfer the property once belonging to the estate. A small estate and affidavit of heirship are closely related forms for after the death of someone without a will that divides the real and personal property. Most likely, the person that died did not have a will, and the heirs are seeking legal possession of their rightful property without going through the probate process. Affidavit of Heirship – Mainly used to identify the heirs to a decedent’s estate. The form is sometimes attached to a small estate affidavit or submitted to transfer real estate that was owned by the decedent. In the case of real property, the document is usually filed with the county office in charge of land records (deeds). Small Estate – Related to the transfer of all types of property; real, personal, vehicles etc. and has to be under a State mandated threshold in order for the heirs to bypass the probate process.